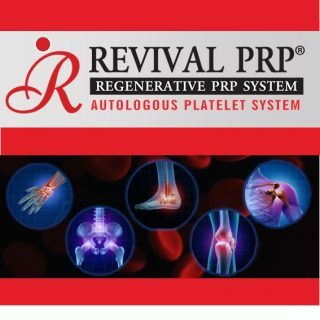 REVIVAL PRP® is an Advanced Separator Gel-based, easy to use, sterile system that is used to prepare PRP in a safe and effective manner to accelerate the body’s own natural healing process. PRP is used in various medical applications including tissue enhancement, tissue and cell regeneration, rejuvenation, reconstruction and for general healing and repair. Supraspinatus tendinopathy (ST) is characterized by degeneration of the tendon fibers and occurs in young to middle-aged, large breed dogs with no gender predilection (Ho et al 2015) and is a common cause of forelimb lameness in dogs. The cause of ST is thought to be repeated strain and overuse from chronic repetitive activity, with a failure of adequate remodeling (Canapp Jr et al 2016). Extreme and rapid hyperflexion of the shoulder is likely the cause of tear or damage to the supraspinatus tendon. Dogs are typically non-responsive to traditional treatments such as rest and NSAIDs, and additional reported treatment options such as rehabilitation therapy and surgery may not always be successful. Following resolution of lameness, there is a lifelong increased susceptibility to re-injury due to the reduced strength of fibrotic scar tissue compared to the original tendon (Ho et al 2015). Open wounds in dogs can occur from a number of different causes. Abrasions or scrapes can occur when the superficial skin layers are damaged. This will cause minor inflammation, some surface bleeding and may cause bruising. Abrasions can occur from an animal biting at their skin, jumping over or digging under fences, fighting or being dragged across a rough surface. Lacerations are when an animal’s skin has been cut or torn open. Some lacerations will have clean, smooth edges or they may have jagged edges. Some lacerations will affect multiple layers of tissue depending on what caused the actual laceration. Puncture wounds or bite wounds occur when an object or tooth pierces the skin and leaves a small hole in the surface. The hole will most likely affect multiple layers of tissue and is most susceptible to bacterial infections. Puncture wounds can easily become abscessed, creating a bigger medical emergency for your client’s pet. The flexor tendons of horses’ lower limbs are important weight-bearing structures at rest and during locomotion. The anatomic arrangement of tendons and joints in the lower limb provides an efficient transfer of muscular energy for rapid locomotion. Of the two flexor tendons, the superficial digital flexor tendon (SDFT) is more commonly injured than the deep digital flexor tendon (DDFT). The SDFT provides a spring-like store of energy in the galloping horse and is subject to strains close to its mechanical limits, making it susceptible to overstrain injuries. Tendon damage may occur as a result of either overstrain of the tendon or a traumatic penetrating injury (O’Sullivan 2007). It appears that the SDFT matures early, after which time it has limited ability to adapt to stress and undergoes progressive degeneration (Dowling et al 2000). Tendinopathy of the superficial digital flexor tendon (SDFT) is a common injury in Thoroughbred racehorses and other horse breeds and is regarded as a career limiting disease. Clinical injury is mostly strain induced and characterized by chronic degeneration after repetitive microtrauma in sport horses. Degenerative Joint Disease (DJD) refers to arthritis or osteoarthritis, which is the result of the gradual deterioration of the articular cartilage within one or more the joints. This smooth resilient cartilage degenerates, becoming brittle over time. With severe DJD, the degenerated cartilage may actually split away from the bone and become loose within the joint. DJD can follow a number of joint diseases, including infection, and may develop after bone or joint injury or surgery. Obese animals are more likely to develop DJD, as a direct result of the mechanical stress that excess weight puts on the joints. Although DJD is not usually an inflammatory disease, mild inflammation plays a part in causing clinical signs. When the cartilage cells become damaged, they release substances that result in inflammation, causing pain and further damage to the cartilage. Thus, once DJD begins, it can become a vicious cycle. Most of the damage caused by DJD is irreversible. Platelet Rich Plasma (PRP) is a portion of the animal’s own blood plasma that is concentrated in platelets and growth factors. These are critical in triggering the body’s regenerative mechanisms. The most basic method to prepare PRP is through centrifugation. The animal’s blood is drawn and centrifuged at a specific speed until it is separated into 3 layers: Platelet Poor Plasma (PPP), Buffy Coat/Platelet Rich Plasma (PRP) and red blood cells. 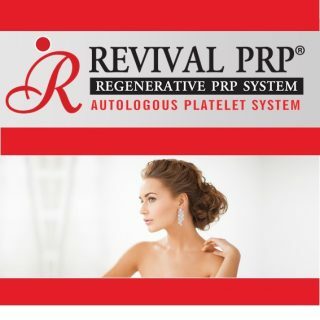 REVIVAL PRP’s Advanced Separator Gel sits in between the platelet-rich plasma and the red blood cells to ensure that the physician obtains a plasma preparation that is free from any red blood cells. Red blood cell contamination may provoke an inflammatory effect which can affect healing. Promotes angiogenesis, cartilage regeneration, fibrosis and platelet adhesion. The purpose of this trial was to determine the efficacy of a single IA injection of an autologous platelet concentrate for treatment of osteoarthritis in dogs. Dogs were randomly assigned to a treatment or control group. Dogs in the treatment group were then sedated, and a blood sample (55 mL) was obtained. PRP was then injected intra-articularly within 30 minutes. Control dogs were sedated and given an intra-articular injection of saline (0.9% NaCl) solution. Assessments were repeated 12 weeks after injection of platelets or saline solution. It was concluded that in dogs suffering from OA involving a single joint, administration of a single intra-articular injection of autologous platelets resulted in significant improvements 12 weeks later, as determined by subjective (ie, owner-assigned scores for severity of pain and lameness) and objective (ie, PVF) measures. Using a placebo-controlled clinical trial design, 20 horses with naturally occurring tendinopathies of forelimb SDFTs were randomly assigned to the PRP-treated group (n = 10) or control group (n = 10) after clinical and ultrasonographic examination. The SDFTs received an intralesional treatment with autologous PRP or were injected with saline, respectively (day 0). Compared to day 0, lameness decreased significantly by week 8 after treatment with PRP and by week 12 in the control group. Ultra-sonographically there was no difference in the summarized cross-sectional area between the groups at any time point. Ultrasound tissue characterization showed that echo types representing disorganized matrix decreased significantly throughout the observation period in the PRP-treated group. Echo type II, representing discontinuous fascicles, not yet aligned into lines of stress was significantly higher 24 weeks after PRP treatment. 80% of the PRP treated horses reached their previous or a higher level of performance after 12 months compared to 50 % in the control group. A single intralesional treatment with PRP up to 8 weeks after onset of clinical signs of tendinopathy contributes to an earlier reduction of lameness compared to saline treatment and to an advanced organization of repair tissue as the fibrillar matrix is getting organized into fascicles while remodelling continues. PRP treated wounds showed more granulation formation and angiogenesis, faster epithelialization and collagen deposition than control wounds. Autologous PRP was separated from anticoagulant treated whole blood in three dogs. Cutaneous wounds were created and then treated by intralesional injection of PRP in the experimental group, while they were treated with saline in the control group on days 0, 2 and 4. The healing process was evaluated by gross examination throughout the experimental period and histologic examination on day 7, 14 and 21. In PRP treated wounds, the mean diameter was smaller and the wound closure rate was higher than in the control. Compared with control wounds, total granulation indexes of PRP-treated wounds were increased on days 7 (p = 0.040) and 14 (p = 0.031). The number of vessels was highest on day 7 in both the control and PRP-treated wounds and decreased gradually over the experimental period. More vessels were observed in the PRP-treated wounds than the control wounds on day 7 (p=0.0000). On day 7, PRP-treated wounds also displayed more collagen fibers than control wounds. The collagen fibers in all of the PRP-treated groups became denser and more abundant than those in the control group on day 14. At day 21, most of the midportions and all of the upper portions of the dermis in PRP-treated wounds showed tightly packed collagen fibers running parallel to each other and the epidermis relative to control wounds. If you have insurance for your pet, please contact the insurance company to see if PRP Therapy is covered. For cranial cruciate ligament ruptures (CCLR) in small animals, surgery has typically been the only option. Click here to learn about how PRP therapy is a potentially beneficial adjunct treatment to surgery. This article talks about both the clinical benefits as well as limitations of PRP use in small animals with CCLR. For many canine injuries, platelet-rich plasma has shown promising results in optimizing the healing environment after an injury. Click here to read more. With recent advances made in the field of regenerative medicine, platelet-rich plasma therapy is becoming a more widespread treatment option offering vastly improved healing. Click here to read how this approach works to create real tendon tissue instead of scar tissue. To learn more about Revival PRP®, please enter your name and email address below and click submit. By clicking submit, you authorize Xediton Pharmaceuticals to send you information about Revival PRP for veterinary use and articles related to its application in veterinary medicine. You can unsubscribe at any time. Platelet-rich Plasma (PRP) is a portion of the plasma fraction (fluid component of blood) of blood that has a platelet and growth factor concentration above baseline to stimulate and boost the body’s natural healing process. 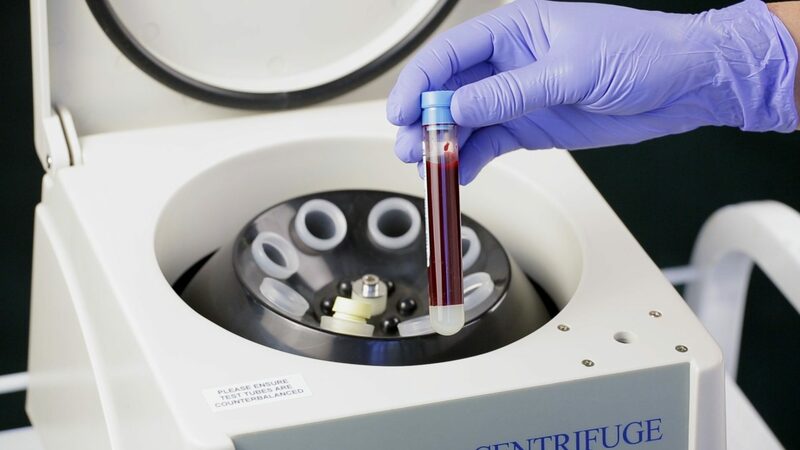 During PRP treatment, the animal’s blood is drawn and centrifuged in order to separate and concentrate the platelets and growth factors that are essential for tissue healing. PRP is then injected or applied directly into the injured area causing the platelets and growth factors to activate. There is also recruitment of other healing proteins and factors to the area resulting in the healing and regeneration of tissue. PRP is used to accelerate healing and reduce pain by enhancing the body’s innate ability to repair and regenerate in a significantly shorter period of time. PRP has demonstrated efficacy and effectiveness in a number of different indications. Multiples studies have been published regarding the use of PRP with excellent results. Yes, the use of PRP is safe. There is minimal risk involved because the treatment uses the animal’s own blood plasma and platelets. PRP is autologous and does not provoke an immune response and is therefore perceived to have a high margin of therapeutic safety (Textor 2014). Since PRP is prepared from autologous blood, theoretically there are minimal risks for disease transmission or immunogenic reactions (Wang-Saegusa et al. 2011). Adverse effects are rare, however, there is always a small risk of injection site morbidity, infection or injury to nerves or blood vessels. Scar tissue formation and calcification at the injection site have been reported as well (Dhillon et al. 2012). It is also very rare that development of antibodies against clotting factors V and IX leading to life-threatening coagulopathies have been reported. However, to date there is no compelling evidence of any systemic effects of a local PRP injection (Dhillon et al. 2012). Acting growth factors also attach to cell surfaces rather than to the nucleus, which minimizes the chance of tumor formation using a negative feedback control (Ko 2010). PRP injections offer an alternative to surgery and are an ideal choice for pet owners who prefer a less invasive option or those who have pets that are unable to undergo a surgery. It also allows for a quick recovery and is less painful than surgery. What are the advantages and benefits of PRP therapy? Some advantages of PRP include an increase in collagen production, elimination of donor transmissible disease, its non-allergenic properties, and its ability to aid in tissue regeneration and rejuvenation. Pet owners can see a significant improvement in symptoms and function in as little as two to three weeks. It reduces pain, increases mobility and increases flexibility as the treatment works to heal the injured or dysfunctional area. This may eliminate the need for more aggressive treatments such as long-term medication or surgery. Since PRP treatment uses the animal’s own blood, there are very few risks associated. While infection is possible, the risks are very remote. The procedure should always be performed by an experienced professional with extensive training to minimize potential risks. Infection, bruising and pain in the injected area are possible side effects of PRP treatment. In some very rare cases, an allergic reaction or blood clot is possible (due to the risk of damaging a vein). Animals with moderate injuries and/or have failed conservative treatments (i.e. medication, physical therapy, etc.) are potential candidates for PRP treatment. PRP is ideally used where faster healing, increased wound strength, pain relief, and reduced scarring is desired. 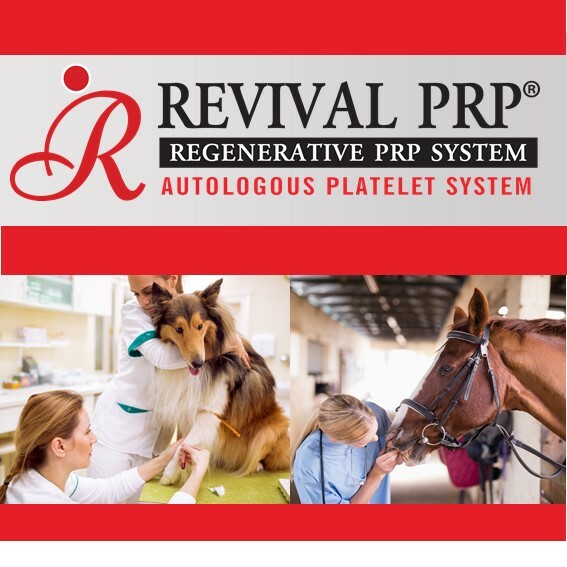 Your veterinarian may recommend REVIVAL PRP® be used in tendon/ligament injuries, joint injuries, for wound healing, or for an injury where there is a need for increased blood flow. Does PRP cure or just provide temporary relief? PRP is perceived to heal the injured area by enhancing the natural regenerative process. 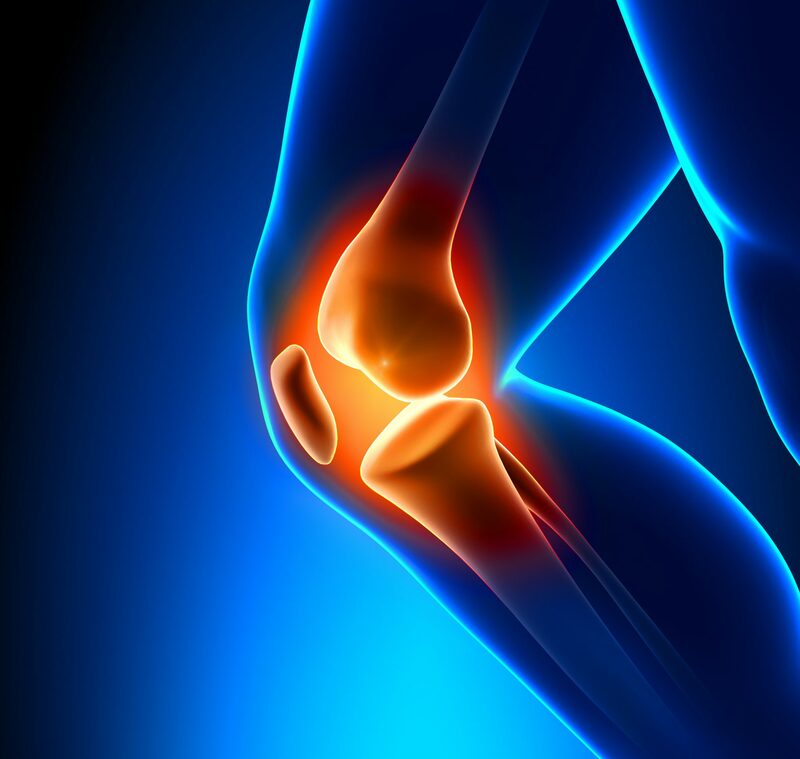 Therefore, PRP cures and is not just a temporary solution to an injury. Treatment time will depend on the condition treated, extent of the damage and each animal’s unique profile, however, results from multiple studies show positive results as soon as the first week and up to 6 weeks post procedure. There is a possibility of soreness after the injection due to the PRP induced inflammatory response, especially if a joint was injected. This soreness is a positive sign that a healing response has been set in motion. This effect can last for several days and gradually decreases as healing and tissue repair occurs. The animal can resume normal activity, simply following a suggested rehabilitation plan. Vigorous or intensive exercise during this period is not recommended. How many rounds of therapy are usually needed? 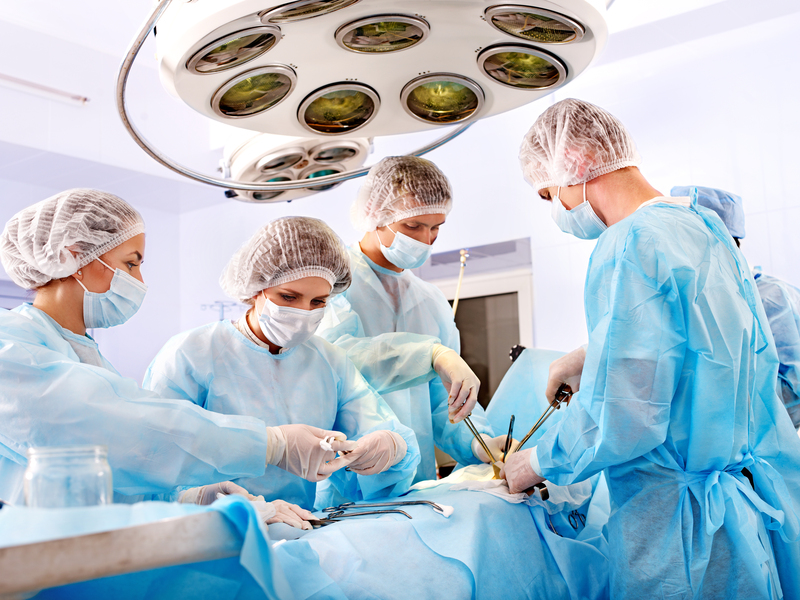 It will depend on the extent of the injury and the type of procedure being performed. Typically animals may need 1-2 injections for optimal results. How long will PRP treatment results last? PRP treatment is intended to resolve pain and promote healing of damaged tissue, therefore results could prove to be long lasting. Initial improvements may be evident within the first few weeks following treatment and continue throughout the healing process. In some cases, it can last up to a year or more. Can PRP be used in conjunction with other treatments? PRP has been used in conjunction with other therapies such as stem cells and skin grafting with outstanding results. Depending on the injury, the animal and the procedure being performed, approximately 8-10 mL is obtained through a simple blood draw. The blood is centrifuged to produce PRP and the platelets are then collected in a syringe leaving 3-5cc to be injected at the required site. The entire procedure should take about 15-30 minutes. Equine PRP preparations will require more blood (about 20ml) to yield approximately 12-14ml of plasma. How soon can my animal return to normal and athletic activities? Return to normal and athletic activity depends on the type and site of injury. Most chronic tendon injuries that have failed to respond to any other type of treatment will generally take quite a few weeks to heal. Injections into joints and acute muscle injuries heal quicker. Wounds will also require a few weeks to completely heal and close. Your veterinarian will inform you, based on the specific injury, what steps you and your animal should take for an effective recovery process. The whole procedure takes approximately 30-45 minutes (depending on the application), including preparation and recovery time. What can I do for my pet after the procedure? Once the numbing effects of anesthesia subside, your pet will experience some soreness at the site of the treatment. As with most pain, icing the injection area for 15 minutes 2-3 times a day for the first few days will help ease the pain and inflammation. Most pets experience noticeable improvement in their mobility within a week or two and can resume normal activity. Is PRP right for my animal? If your animal has a tendon or ligament injury, degenerated joints or a chronic wound that does not appear to be healing in a timely manner, and traditional methods have not provided lasting relief, then PRP may be the solution. It helps to heal tissue with minimal or no scarring and alleviate further degeneration. The procedure is non-invasive, less expensive than surgery, and may eliminate the need for long-term and potentially harmful medication use. Talk to your veterinarian about whether PRP is right for your animal’s specific condition. PRP is in fact bactericidal (a substance that kills bacteria). While platelets are increased during PRP processing, leukocyte (white cells that fight infection) concentration is increased 6 to 8 times. This is one reason why PRP is so effective in wound healing. Not only do the increased leukocyte levels enable the body to fight off infection, they also have a dual purpose. After platelets initially release their growth factors, they produce a secondary release of leukocytes or growth factors to promote healing. PRP has no ability to induce tumor formation and has never done so (Marx, RE, 2001), (Schmitz et al., 2001). The growth factors immediately bind to the external surface of the cell membranes of cells in the graft, flap, or wound via transmembrane receptors. The importance of this is that the GWP growth factors never enter the cell or its nucleus, they are not mutagenic, and they act through the stimulation of normal healing, just at a much faster rate. Is it necessary to have more than one treatment? How often does this treatment need to be repeated? It will depend on the condition treated, extent of the damage and the animal’s unique profile. While responses to treatment vary, most animals require 1 to 3 sets of injections; with majority of animals only needing 1 injection. If additional injections are necessary, the risks and side effects do not change. Why is PRP such a great tool in wound care? Platelets and inflammatory cells are the first to arrive at any site of injury and express and release growth factors that promote tissue repair and influence processes such as angiogenesis, inflammation and the immune response. Chronic wounds have been shown to stall in the inflammatory phase of wound healing and either do not heal or continue to deteriorate. By applying PRP which contains a higher than normal concentration of platelets to a site of injury, the healing process is accelerated and helps transition difficult to treat chronic wounds out of the inflammation phase and into the proliferative phase of healing. 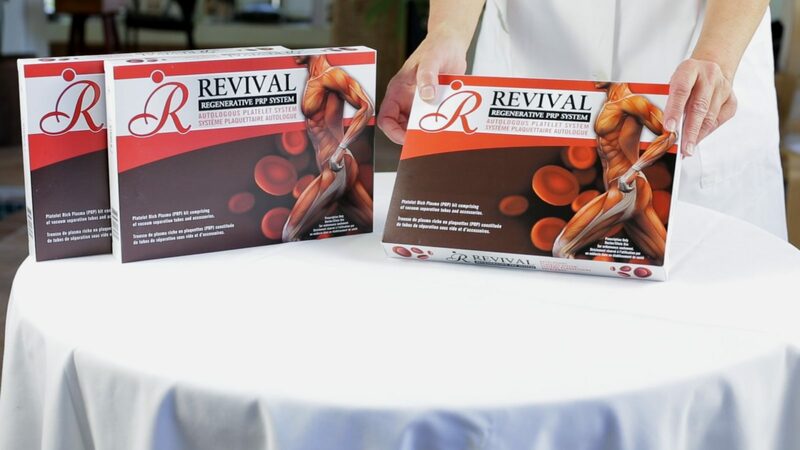 How is REVIVAL PRP® different? • REVIVAL PRP® has an advanced separator gel technology which allows for separation of the red and white blood cells so that only the plasma rich in healing platelets and proteins will be injected into the animal. The unique properties of the gel trap pro-inflammatory granulocytes below the gel. These granulocytes do not help regeneration and may contribute to a catabolic effect, so it is an ideal system when a veterinarian recommends it for your animal’s joint injury. • REVIVAL PRP® is a sterile and closed system, ensuring that your vet obtains a clean PRP preparation each time. How can my vet order the product? REVIVAL PRP® may be ordered online by your vet through our website, fax or by phone. Our Customer Service Department is always ready to help fill your vet’s order, answer any questions and provide additional details regarding shipping and handling. What should I do if my pet experiences an adverse reaction? If your pet experiences an adverse reaction, please contact your veterinarian immediately.